Founded in 1994, this group of men has brought their unique talents and ministry to folks all across the country. God has used a combined musical experience of well over 100 years to mold and form the group into exactly what He needed. The Lord has blessed Still Water in many ways and has taken them many miles to deliver the message of Jesus Christ. A Still Water concert is far more than just rich vocals and wonderful arrangements; it is a time of spirit filled ministry. 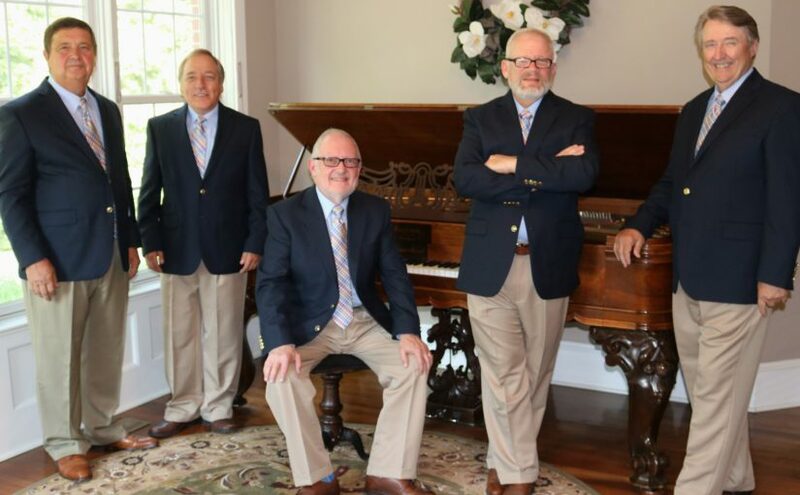 Their blend of traditional Southern Gospel stylings with modern harmonies has had an impact on audiences in just about every setting one could imagine. Dale Taylor brings the baritone part to life for Still Water. He has been singing since childhood and has traveled with various groups for over 50 years. Dale is the group’s manager and handles most of the booking chores. Dale and his wife Beverly reside in Hopkinsville, Ky and attend Hillcrest Baptist Church. Dale and Beverly have two daughters: Melissa and Tammy. Tommy Bruce sings tenor for the group. He worked as a soloist prior to joining Still Water. And currently, he is very active in directing his church choir. When the group is on the road, Tommy’s greatest support comes from his wife Karen and their two children: Aaron and Amber. Tommy and his family are members of Christian Heights Methodist Church in Hopkinsville, Kentucky. Dale Charles is Still Water’s lead singer and all around “handy man”. Dale has over 20 years singing experience. He lives in Pembroke, Kentucky with his wife Patti. Dale and Patti have two married children: son Matthew and daughter Jessica. Dale and Patti attend Hillcrest Baptist Church in Hopkinsville. Ken Johnson plays piano for the group. He is a veteran player with 40 plus years in gospel music, including a stint with the legendary group Naomi and the Segos. In addition to playing piano, Ken is also Still Water’s product manager. He and his wife Linda live in Hopkinsville and are members of Second Baptist Church. The newest Still Water member is bass singer, Anthony Hightower. Anthony is no stranger to long time Still Water fans. He sang with the group for around 3 years in the early 2000s. His rich bass voice lays the foundation for the group’s sound. Anthony and his wife Susan live in Elkton, Kentucky and have two children: Matt and Stephanie. Anthony is an active member of Elkton Baptist Church. Still Water is not caught up in the glitter of road life nor do they try to be something that they are not. They rely on one thing: the direction of the Holy Spirit in their lives, their music and their concerts. You owe it to yourself to experience a journey filled with happiness, excitement, and worship as only Still Water can provide. Enjoy a concert with western Kentucky’s finest: Still Water.